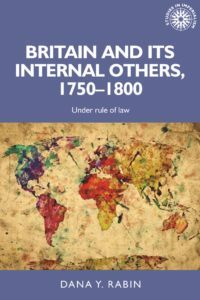 We are delighted to announce that the 150th book in the Studies in Imperialism series will be published on 1st October 2017. 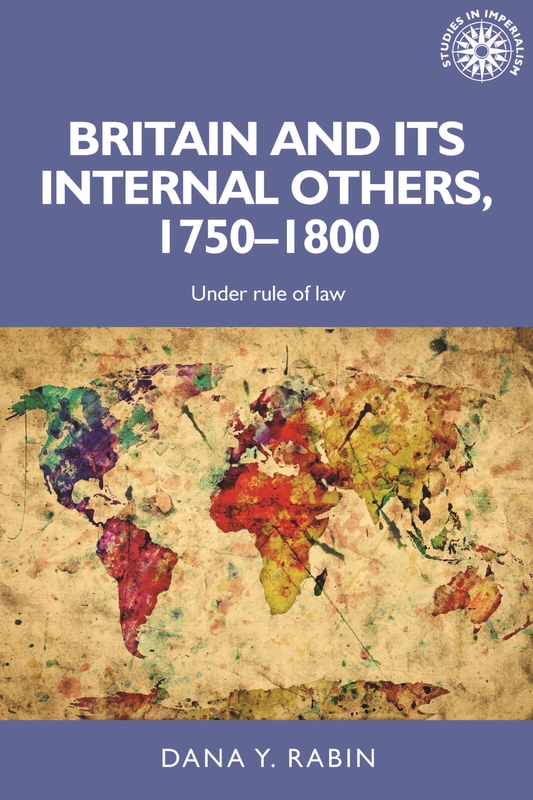 Dana Rabin’s Britain and its internal others 1750-1800: Under rule of law revisits six notorious incidents that occasioned vigorous debate in London’s courtrooms, streets and presses: the Jewish Naturalization Act and the Elizabeth Canning case (1753-54); the Somerset Case (1771-72); the Gordon Riots (1780); the mutinies of 1797; and Union with Ireland (1800). Each of these cases adjudicated the presence of outsiders in London – including Jews, Gypsies, Africans and Catholics – whose demands to equality before the law challenged longstanding notions of English identity. Marking the occasion of the 150th book, the series welcomes Professor Alan Lester (University of Sussex and La Trobe University, Australia), as co-editor alongside Professor Andrew S. Thompson (University of Exeter). The editors invite proposals for high-quality book proposals on all aspects of imperial history and will consider both monographs and tightly coherent edited volumes. Studies in Imperialism has a long and distinguished history. Founded by Professor John MacKenzie in the 1980s, the series has recently been made available as a digital collection, Manchester Studies in Imperialism. For more information about the MSI collection, please contact [email protected]. Enquiries about publishing in the Studies in Imperialism series should be directed in the first instance to [email protected].